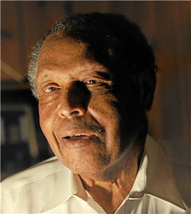 Retired Juvenile court judge Marcus O. Tucker who died at age 80 from heart condition complications was the first black judge appointed to the Long Beach Municipal Court before rising to a post on the Los Angeles County Superior Court. Tucker, a long-time Long Beach resident, graduated from USC before attending Howard University Law School in Washington, D.C. When he returned to California in 1960, he worked in the Santa Monica city attorney’s office. Tucker served two years in the U.S. attorney’s office in Los Angeles before being appointed as a court commissioner in the mid-1970s. In 1976, he became the first black judge appointed to the Long Beach Municipal Court. The following year, his colleagues elected him as the court’s presiding judge. Two opponents challenged him for his seat on the bench in 1978 in a nasty campaign. He advocated for teen courts with peer juries, initiated low-cost drug testing that parents could use under the court’s watch, and helped establish a playground facility for children waiting court action. “He loved helping kids turn their lives around,” his daughter, Angelique Chamberlain, said. Tucker is credited for cutting truancy rates among kids who passed through his court. He introduced low-cost drug-testing programs for parents under the court’s jurisdiction and established a playground for children awaiting court action.